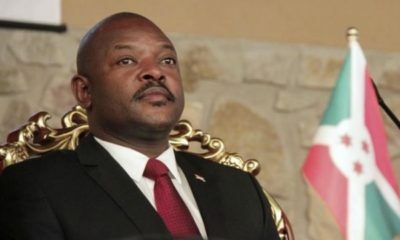 Last week, news filtered in that the Burundi government are holding three schoolgirls in detention, who may face jail term if found guilty, for allegedly drawing on President Pierre Nkurunziza‘s face in their school books. 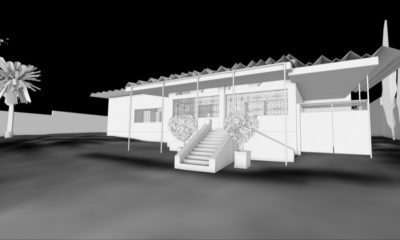 7 girls had been arrested but 4 were later released and the remaining 3, who have now been identified as Belyse, Eliane and Micheline, were last Monday, charged with ‘insulting the head of state’. 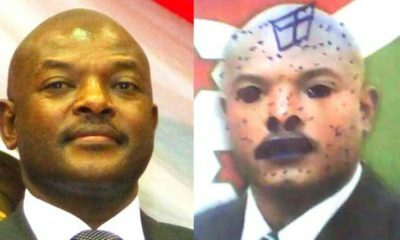 This was not the first time the Burundian government was doing this, in 2016, on two different occasions, school children were arrested for allegedly doodling on the president’s photos. 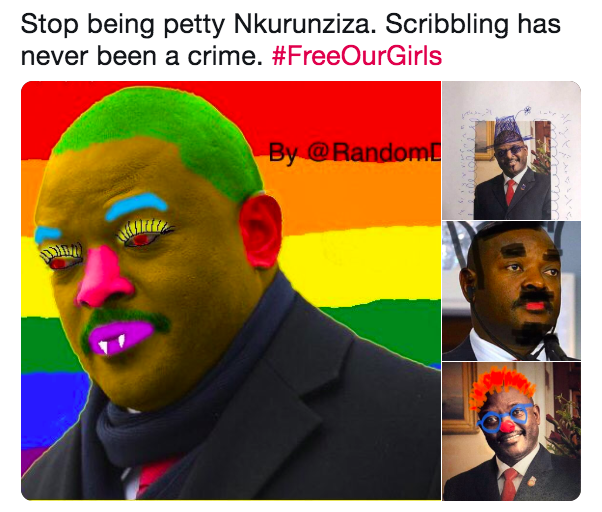 Now, social media users are showing support for the girls with the hashtag #FreeOurGirls as well as photos of the president with their own doodles.